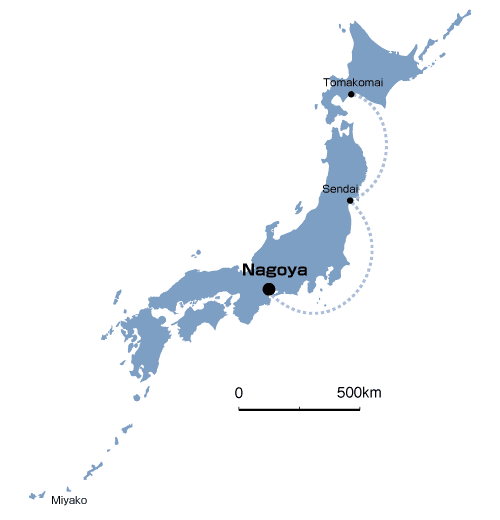 Ferries connecting the Port of Nagoya and Tohoku (Port of Sendai) and Hokkaido (Port of Tomakomai) call at this terminal once every two days. 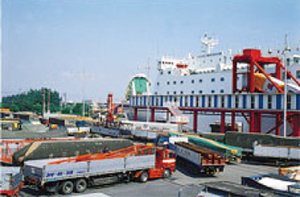 These ferries are used for many things, from cargo transport to travel and leisure. 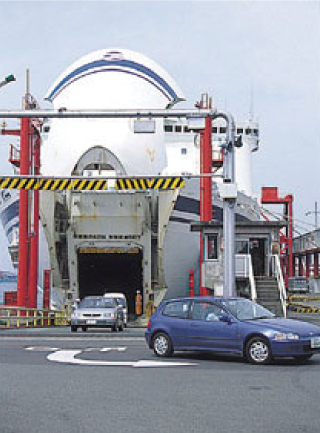 Ferry transportation today is not only an essential means of transportation that supports the flow of goods and people within Japan, it has also become highlighted as one part of a modal shift from automobiles to maritime traffic to reduce environmental pollution from traffic congestion and exhaust gas. 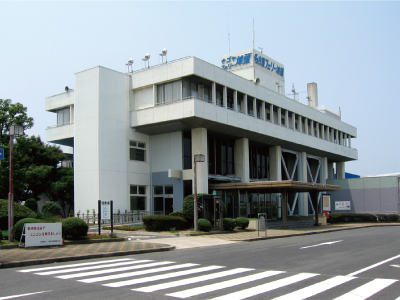 Copyright © 2012 Nagoya Port Terminal Corporation. All Rights Reserved.